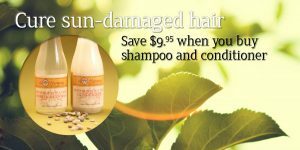 Sulfate-free shampoos and conditioners are better for your health and the environment. They are also ideal for those with skin sensitivities. Summer is the time of year when we need to be mindful of taking care of our hair. The sun, the chlorine, the heat … they can all damage hair if we aren’t careful. And so can many hair care products, especially those that contain sulfates and parabens. Why are these ingredients bad for you? The facts might surprise you. Sulfates are foaming agents that are added to cleaning products, including shampoos. The most common sulfate is sodium laurel sulfate (SLS). According to the Environmental Working Group’s Skin Deep Cosmetics Database, SLS has been linked to organ toxicity, skin irritation and is harmful to the environment. While some studies have linked sulfates to cell damage, The Journal of the American College of Toxicology considers it safe in concentrations below 1 percent, however, most shampoos that contain sulfates typically have a concentration of around 15 percent! That’s scary news. Sulfates also strip the hair of essential oils, irritate the skin, are drying, and cause color to fade prematurely. 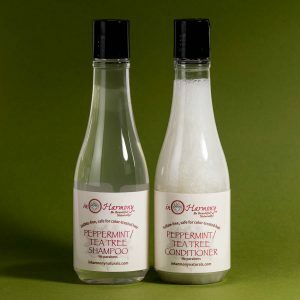 We recommend the sulfate-free products sold by in Harmony Naturals. They promote healthy skin cell rejuvenation, while naturally cleansing and conditioning. The sodium lauryl sulfoacetate used in their shampoo is derived from coconut and palm oils, and is 100% of natural origin. It’s also a certified cruelty-free and vegan product. Alarmed by the harmful ingredients currently being used by the beauty industry, Dr. Carole Kowalczyk developed a beauty line that uses only safe, clean ingredients; no parabens, no sulfates, no dyes or synthetic fragrances. Only the best that nature has to offer. Parabens are harmful because they can mimic the activity of the hormone estrogen in the body’s cells and cause breast cancer. And they are suspected of being a cause for early puberty in girls and may even cause low sperm count and testicular cancer. So why then would the beauty industry use parabens in their products?! Because it is a cheap preservative and the industry is currently unregulated. To make matters worse, parabens are found under a range of compound names and so they are hard to detect. Some commonly found parabens are butylparabens, propylparabens and methylparabens. However, they are also often mentioned on product bottles as Alkyl parahydroxy benzoates. Experts suggest that it is better to look for safer alternatives and stop using paraben-based products altogether. 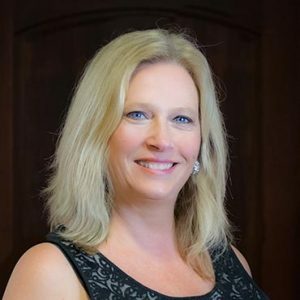 One possibility is the paraben-free product line created by Carole Kowalczyk, M.D., a reproductive endocrinology who grew so alarmed by the lack of regulation in the beauty industry that she developed a safe, clean, organic beauty line, an alternative to what is currently out there. To learn more about the importance of having clean, safe ingredients in your hair and beauty products, click here. Available in lavender and peppermint/tea tree.